His report set out a number of actions the government will take including support for more housebuilding. His view is that the economy continues to grow and continues to create more jobs. The major attention-grabber was aimed at first time buyers who will not have to pay Stamp Duty Land Tax on homes costing up to £300,000. support for businesses to cope with the effects of business rates revaluation and the so called ‘staircase tax’. capital allowance changes for cars from April 2018. The personal allowance is currently £11,500. The personal allowance for 2018/19 will be £11,850. A reminder that not everyone has the benefit of the full personal allowance. There is a reduction in the personal allowance for those with ‘adjusted net income’ over £100,000, which is £1 for every £2 of income above £100,000. So for 2017/18 there is no personal allowance where adjusted net income exceeds £123,000. For 2018/19 there will be no personal allowance available where adjusted net income exceeds £123,700. The basic rate of tax is currently 20%. The band of income taxable at this rate is £33,500 so that the threshold at which the 40% band applies is £45,000 for those who are entitled to the full personal allowance. In 2017/18 the band of income taxable at the basic rate for income (other than savings and dividend income) is different for taxpayers who are resident in Scotland to taxpayers resident elsewhere in the UK. The Scottish Government set the band of income taxable at the basic rate at £31,500 so that the threshold at which the 40% band applies is £43,000. The additional rate of tax of 45% is payable on taxable income above £150,000 (other than dividend income) for all UK residents. The government has announced that for 2018/19 the basic rate band will be increased to £34,500 so that the threshold at which the 40% band applies is £46,350 for those who are entitled to the full personal allowance. The Scottish Government will announce the Scottish income tax rates and bands for 2018/19 in the Draft Budget on 14 December. The Chancellor has confirmed the Dividend Allowance will be reduced from £5,000 to £2,000 from 6 April 2018. The government expect that even with the reduction in the Dividend Allowance to £2,000, 80% of ‘general investors’ will pay no tax on their dividend income. However, the reduction in the allowance will affect family company shareholders who take dividends in excess of the £2,000 limit. The cost of the restriction in the allowance for basic rate taxpayers will be £225 increasing to £975 for higher rate taxpayers and £1,143 for additional rate taxpayers. The Savings Allowance was first introduced for the 2016/17 tax year and applies to savings income. The available allowance in a tax year depends on the individual’s marginal rate of income tax. Broadly, individuals taxed at up to the basic rate of tax have an allowance of £1,000. For higher rate taxpayers the allowance is £500. No allowance is due to additional rate taxpayers. The Marriage Allowance allows certain couples, where neither pay tax at more than the basic rate, to transfer 10% of their unused personal allowance to their spouse or civil partner, reducing their tax bill by up to £230 a year in 2017/18. The government will legislate to allow Marriage Allowance claims on behalf of deceased spouses and civil partners, and for the claim to be backdated for up to four years where the entitlement conditions are met. This measure will come into force on 29 November 2017. The overall ISA savings limit for 2017/18 and 2018/19 is £20,000. Help to Buy ISAs are a type of cash ISA and potentially provide a bonus to savers if the funds are used to help to buy a first home. The Lifetime ISA has been available from April 2017 for adults under the age of 40. Individuals are able to contribute up to £4,000 per year, between ages 18 and 50, and receive a 25% bonus from the government. Funds, including the government bonus, can be used to buy a first home at any time from 12 months after opening the account, and can be withdrawn from age 60 completely tax free. The overall ISA limit was significantly increased from £15,240 to £20,000 for 2017/18. The increase in the investment limit was partly due to the introduction of the Lifetime ISA. There are therefore four types of ISAs for many adults from April 2017 – cash ISAs, stocks and shares ISAs, Innovative Finance ISAs (allowing investment into peer to peer loans and crowdfunding debentures) and the Lifetime ISA. Money can be placed into one of each kind of ISA each tax year. As stated above, Help to Buy ISAs are a type of cash ISA and therefore care is needed not to breach the ‘one of each kind of ISA each tax year rule’. In 2016 the government announced the introduction of a new type of savings account aimed at low income working households. Individuals in low income working households will be able to save up to £50 a month into a Help to Save account and receive a 50% government bonus after two years. Overall the account can be used to save up to £2,400 and can benefit from government bonuses worth up to £1,200. Account holders can then choose to continue saving under the scheme for a further two years. The scheme will be open to all adults in receipt of Universal Credit with minimum weekly household earnings equivalent to 16 hours at the National Living Wage or those in receipt of Working Tax Credits. Universal Credit is a state benefit designed to support those on low income or out of work. It is intended to replace some benefits such as housing benefit, tax credits and income support. It is being introduced in selected areas. The intention is that the rollout will be completed by September 2018. An individual’s entitlement to the benefit is made up of a number of elements to reflect their personal circumstances. Claimants’ entitlement to Universal Credit is withdrawn at a rate of 63 pence for every extra £1 earned (the ‘taper rate’) where claimants earn above the work allowances. Following concerns about the roll out of Universal Credit, the Chancellor announced that households in need who qualify for Universal Credit will be able to access a month’s worth of support within five days, via an interest-free advance, from January 2018. This advance can be repaid over 12 months. Claimants will also be eligible for Universal Credit from the day they apply, rather than after seven days. Housing Benefit will continue to be paid for two weeks after a Universal Credit claim. The government will introduce measures to ensure venture capital schemes (the EIS, Seed Enterprise Investment Scheme and VCTs) are targeted at growth investments. The government has announced that relief under the schemes will be focussed on companies where there is a real risk to the capital being invested, and will exclude companies and arrangements intended to provide ‘capital preservation’. Detailed guidance will be issued shortly after the publication of the Finance Bill. The government will legislate to limit the application of an anti-abuse rule relating to mergers of VCTs. The rule restricts relief for investors who sell shares in a VCT and subscribe for new shares in another VCT within a six month period, where those VCTs merge. This rule will no longer apply if those VCTs merge more than two years after the subscription, or do so only for commercial reasons. introducing a new anti-abuse rule to prevent loans being used to preserve and return equity capital to investors, with effect on and after Royal Assent. The government will publish a call for evidence on 1 December 2017 to build the evidence base around the usage of rent a room relief and to help establish whether it is consistent with the original policy rationale to support longer-term lettings. for larger donations, charities will be able to offer an additional benefit to donors up to 5% of the amount of the donation that exceeds £100. The government have confirmed that four extra statutory concessions that currently operate in relation to the donor benefit rules will also be brought into law. The changes will have effect on and after 6 April 2019. In July 2017, the government announced significant changes to the timetable and scope of HMRC’s digital tax programme for businesses. VAT will be the first tax where taxpayers will keep digital records and report digitally to HMRC. The new rules will apply from April 2019 to all VAT registered businesses with turnover above the VAT threshold. As with electronic VAT filing at present, there will be some exemptions from Making Tax Digital for VAT. However, the exemption categories are tightly-drawn and unlikely to be applicable to the generality of VAT registered businesses. In the long run, HMRC are still looking to a scenario where income tax updates are made quarterly and digitally, and this is really what the VAT provisions anticipate. The 2016 Budget announced that Class 2 NICs will be abolished from April 2018. The legislation to effect this measure was intended to be introduced this year. In November 2017 the government decided to implement a one year delay so that Class 2 NICs will be abolished from April 2019. The government is still committed to abolishing Class 2 NICs. The deferral allows time to engage with interested parties with concerns relating to the impact of the abolition of Class 2 NICs on self-employed individuals with low profits. The Chancellor announced in the 2017 Budget proposals to increase the main rate of Class 4 NICs from April 2018 but was forced to make a subsequent announcement that the increase would not take place and there will be no increases to NICs rates in this Parliament. how the current rules and reporting requirements operate in particular circumstances where a partnership has partners that are themselves partnerships. provides a new structured mechanism for the resolution of disputes between partners over the allocation of taxable partnership profits and losses shown on the partnership return. The government will legislate to give unincorporated property businesses the option to use a fixed rate deduction for every mile travelled by car, motorcycle or goods vehicle for business journeys. This will be as an alternative to claims for capital allowances and deductions for actual expenses incurred, such as fuel. The changes will have effect from 6 April 2017. The government will consult on the best way to prevent UK traders or professionals from avoiding UK tax by arranging for UK trading income to be transferred to unrelated entities. This will include arrangements where profits accumulate offshore and are not returned to the UK. A consultation is to be published on the design of rules expanding the circumstances in which a royalty payment to persons not resident in the UK has a liability to income tax. The changes will have effect from April 2019. A disincorporation relief was introduced in April 2013 for five years. Broadly, the relief is aimed at certain small companies where the shareholders want to transfer the business into sole tradership or a partnership business. The relief removes the tax charge arising on the disposal of the company’s assets of land and goodwill if qualifying conditions are met. The government has decided not to extend this relief beyond the current 31 March 2018 expiry date. The government will consult in 2018 on the tax treatment of intellectual property also known as the Intangible Fixed Asset regime. This will consider whether there is an economic case for targeted changes to this regime so that it better supports UK companies investing in intellectual property. The government is to legislate so that non-UK resident companies with UK property income and/or chargeable gains relating to UK residential property will be charged to corporation tax rather than income tax or capital gains tax respectively as at present. The government plans to publish draft legislation for consultation in summer 2018. The change is set to have effect from 6 April 2020. A 100% FYA is currently available for businesses purchasing zero-emission goods vehicles or gas refuelling equipment. Both schemes were due to end on 31 March 2018 but have been extended for a further three years. FYA enables profit-making businesses to deduct the full cost of investments in energy and water technology from their taxable profits. Loss-making businesses do not make profits, so they do not benefit from FYAs. However, when the loss-making business is a company it can claim FYTC when they invest in products that feature on the energy and water technology lists. A FYTC claim allows the company to surrender a loss in exchange for a cash credit and is currently set at 19% but the facility was due to end on 31 March 2018. The credit system is to be extended for five years but the percentage rate of the claim is to reduce to two-thirds of the corporation tax rate. The changes to FYTC will have effect from 1 April 2018. This measure changes the calculation of indexation allowance by companies so that for disposals of assets on or after 1 January 2018, indexation allowance will be calculated using the Retail Price Index factor for December 2017 irrespective of the date of disposal of the asset. The government will consult in 2018 on how to tackle non-compliance with the intermediaries legislation (commonly known as IR35) in the private sector. The legislation aims to ensure that individuals who effectively work as employees are taxed as employees even if they choose to structure their work through a company. A possible next step would be to extend the recent public sector reforms to the private sector. In the Spring Budget the government stated it wished to consider how the tax system ‘could be made fairer and more coherent’. A call for evidence was subsequently published on employee expenses. The government’s aim is to better understand the use of the income tax relief for employees’ business expenses. It sought views on how employers currently deal with employee expenses, current tax rules on employee expenses and the future of employee expenses. the government will consult in 2018 on extending the scope of tax relief currently available to employees and the self-employed for work-related training costs. The government response to the call for evidence will be published on 1 December 2017. The government previously announced changes to align the rules for tax and employer NICs by making an employer liable to pay Class 1A NICs on any part of a termination payment that exceeds the £30,000 threshold that currently applies for income tax. In addition, ‘non-contractual’ payments in lieu of notice (PILONs) will be treated as earnings rather than as termination payments and will therefore be subject to income tax and Class 1 NICs. This will be done by requiring the employer to identify the amount of basic pay that the employee would have received if they had worked their full notice period. All these measures were due to take effect from April 2018. In November 2017 the government decided to implement a one year delay for the Class 1A NICs measure so the change will take effect from April 2019. The government will legislate to ensure that employees who are UK resident in the tax year in which their employment is terminated will not be eligible for foreign service relief on their termination payments. Reductions in the case of foreign service are retained for seafarers. The changes will have effect from 6 April 2018 and apply to all those who have their employment contract terminated on or after 6 April 2018. Currently ‘non-contractual’ PILONs may be treated as part of a termination payment and therefore exempt from income tax up to the £30,000 threshold and not subject to any NICs. Note that the changes to the treatment of PILONs for income tax and Class 1 NICs will still apply from April 2018. The scale of charges for working out the taxable benefit for an employee who has use of an employer provided car are now announced well in advance. Most cars are taxed by reference to bands of CO2 emissions. Currently there is a 3% diesel supplement. The maximum charge is capped at 37% of the list price of the car. In the current tax year there is a 9% rate for cars with CO2 emissions up to 50gm/km or which have neither a CO2 emissions figure nor an engine cylinder capacity (and which cannot produce CO2 emissions in any circumstances by being driven). From 6 April 2018 this will be increased to 13%, and from 6 April 2019 to 16%. The government announced that they will legislate to increase the diesel supplement from 3% to 4%. This will apply to all diesel cars registered from 1 January 1998 that do not meet the Real Driving Emissions Step 2 (RDE2) standards. There is no change to the current position that the diesel supplement does not apply to hybrid cars. The change will have effect from 6 April 2018. The government will introduce an income tax exemption for certain allowances paid to Armed Forces personnel for renting or maintaining accommodation in the private market. A Class 1 NICs disregard will also be introduced. The change will have effect from Royal Assent once regulations have been laid. the government will publish a consultation as part of its response to Matthew Taylor’s review of modern working practices, considering options for reform to make the employment status tests clearer for both employment rights and tax. Entrepreneurs’ Relief (ER). This is targeted at working directors and employees of companies who own at least 5% of the ordinary share capital in the company and the owners of unincorporated businesses. Investors’ Relief. The main beneficiaries of this relief are external investors in unquoted trading companies. The CGT annual exemption is £11,300 for 2017/18 and will be increased to £11,700 for 2018/19. The government will consult on how access to ER might be given to those whose holding in their company is reduced below the normal 5% qualifying level as a result of raising funds for commercial purposes by means of issues of new shares. Allowing ER in these circumstances would incentivise entrepreneurs to remain involved in their businesses after receiving external investment. For example, Bill owns 33% of the original share capital of 100 shares issued at par. John invests £30,000 in the company in return for 30,000 new shares. This reduces Bill’s holding to 33 of 30,100 shares, below the 5% limit. It appears that the government intend to address this problem. The government had previously suggested that capital gains tax would have to be paid within 30 days of the sale of a residential property but this proposal has now been deferred until April 2020. 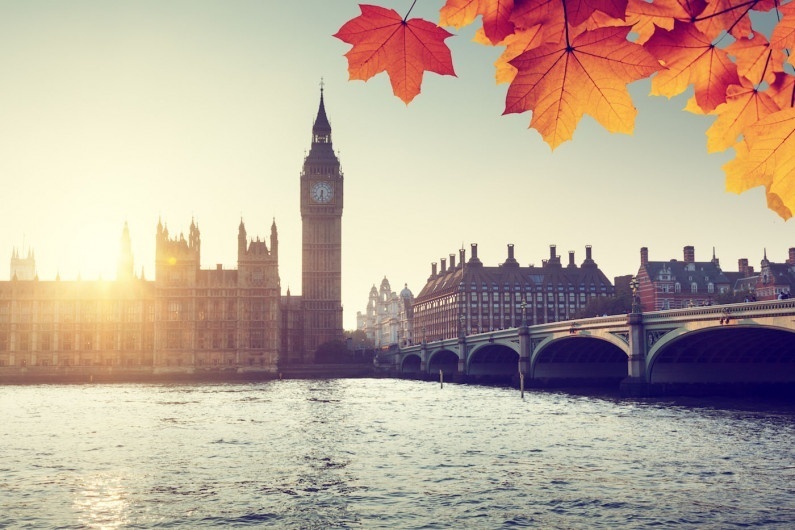 The government announced that from April 2019 tax will be charged on gains made by non-residents on the disposal of all types of UK immovable property. This extends existing rules that apply only to residential property. indirect disposals of UK land will be chargeable. An additional nil rate band is now available for deaths on or after 6 April 2017, where an interest in a residence passes to direct descendants. The amount of relief is being phased in over four years; starting at £100,000 in the first year and rising to £175,000 for 2020/21. For many married couples and registered civil partners the relief is effectively doubled as each individual has a main nil rate band and each will potentially benefit from the residence nil rate band. The additional band can only be used in respect of one residential property, which does not have to be the main family home, but must at some point have been a residence of the deceased. Restrictions apply where estates are in excess of £2 million. Where a person died before 6 April 2017 their estate did not qualify for the relief. A surviving spouse may be entitled to an increase in the residence nil rate band if the spouse who died earlier had not used, or was not entitled to use, their full residence nil rate band. The calculations involved are potentially complex but the increase will often result in a doubling of the residence nil rate band for the surviving spouse. When planning to minimise IHT liabilities we now have three nil rate bands to consider. The standard nil rate band has been a part of the legislation from the start of IHT in 1986. In 2007 the ability to utilise the unused nil rate band of a deceased spouse was introduced enabling many surviving spouses to have a nil rate band of up to £650,000. From 6 April 2020 some surviving spouses will be able to add £350,000 in respect of the residence nil rate band to arrive at a total nil rate band of £1 million. Individuals need to revisit their wills to ensure that the relief will be available and efficiently utilised. legislating retrospectively to address the so-called ‘staircase tax’. Affected businesses will be able to ask the Valuation Office Agency to recalculate valuations so that bills are based on previous practice backdated to April 2010. The government has announced that first time buyers paying £300,000 or less for a residential property will pay no SDLT. The new rules apply to transactions with an effective date (usually the date of completion) on or after 22 November 2017. This measure does not apply in Scotland as this is a devolved tax. This measure will apply in Wales until 1 April 2018, when SDLT will be devolved to Wales. New rules were introduced to impose an additional SDLT charge of 3% on additional residential properties purchased on or after 1 April 2016. Broadly, transactions under £40,000 do not require a tax return to be filed with HMRC and are not subject to the higher rates. a purchaser adds to their interest in their current main residence. The changes also counteract abuse of the relief when someone who changes main residence retains an interest in their former main residence. The government has confirmed that it will reduce the SDLT filing and payment window from 30 days to 14 days for land transactions with an effective date on or after 1 March 2019. The government is planning improvements to the SDLT return that aim to make compliance with the new time limit easier. LTT will be introduced from 1 April 2018 and replace Stamp Duty Land Tax (SDLT) which continues to apply in England and Northern Ireland. The principles and rates of the tax are similar to SDLT. There had been some speculation leading up to the Budget that the VAT registration limit would be significantly reduced. The Chancellor has announced that the VAT registration and deregistration thresholds will not change for two years from 1 April 2018 from the current figures of £85,000 and £83,000 respectively. In the meantime, the government intends to consult on the design of the threshold. The government will pursue legislation to shift responsibility for paying the VAT along the supply chain to remove the opportunity for it to be stolen with effect on or after 1 October 2019. The long lead-in time reflects the government’s commitment to give businesses adequate time to prepare for the changes. The government has decided not to bring in legislative measures to address the fraud in the Construction Industry Scheme but HMRC are increasing their compliance response to target the fraud there. A supplement will apply to new diesel vehicles from 1 April 2018 so that these cars will go up by one VED band in their First-Year Rate. This will apply to any diesel car that is not certified to the Real Driving Emissions 2 (RDE2) standard. The government state that someone purchasing a typical Ford Focus diesel will pay an additional £20 in the first year, a VW Golf will pay £40, a Vauxhall Mokka £300 and a Landrover Discovery £400. The government will publish a consultation in 2018 on how to make the taxation of trusts simpler, fairer and more transparent. recover greater amounts of tax debt including through a new taskforce to specifically tackle tax debts more than nine months old. For more information on anything discussed in this article or if you would like some tax planning advice please contact your usual Hawsons contact. Alternatively, please contact your nearest office to arrange your free initial meeting. We will also keep you updated with any additional developments, so please sign-up for our tax news. We will be publishing Budget 2016 sector analysis over the coming days. Please register on the link above to receive a copy of the Budget 2016 sector impacts you want to keep track of via email. You can see our 2016/17 Tax Rate summary here.